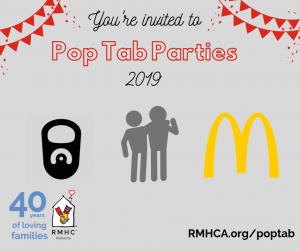 At Ronald McDonald House Charities, we can walk around the House at any time and see the many families we are helping keep close to each other. We can see the hardships they face and we can feel their pain. And every once in a while, we hear an amazing story that reminds us of the importance of our close proximity to both the Children’s of Alabama and UAB Medicine facilities. We don’t always have a reminder as to how important the proximity to both Children’s of Alabama and UAB Medicine, two major medical facilities, but every once in a while we hear an amazing story like this one. We take having these amazing hospitals in town for granted, but for those who have traveled here for treatment, being able to stay close is key. A family from Tennessee was staying with us recently because they were sent here for their three-year-old daughter’s brain surgery. The surgery was to minimize the small seizures that she had been having her entire life. This family had not been checked into our House for even an hour when something very dangerous occurred. 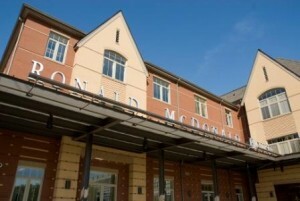 While putting their child to bed, she had a grand mal seizure in the room at the Ronald McDonald House. This seizure happened to be the longest and worst seizure this little girl had ever experienced. She began aspirating. Like any parent of a three-year-old, watching this seizure was quite painful for the parents. They had been trained on the proper steps, but this particular seizure was different. It was not long until the dad threw his daughter over his shoulder and ran across the street to Children’s of Alabama where the child was admitted immediately. It was communicated to the family that had they not made it there when they did, this story would have a very different ending. Things could have gone differently if they were at home in Tennessee or traveling to the hospital, but they weren’t, they were staying with us. They were 2 minutes and twelve seconds away from the emergency room at Children’s of Alabama. It is stories like this one that remind us why we are so close to amazing hospitals and why our House is important for so many families. If you can adopt-a-family, we would be honored. This is just one story of one family that has stayed with us. We served over 700 families in 2015. Each family has their own journey and their own story, but they all come to us with a need. By contributing to our adopt-a-family program, you can help ensure they have a place to stay when they need it.